AMERICAN DREAM HOUSE. Norwegian immigrant Waldemar Ager – well-known as a newspaperman, novelist, and Prohibition advocate – settled in Eau Claire at age 23 in 1892. His home is now a historic site. The Waldemar Ager Association is partnering with area organizations to commemorate the 150th birthday of Ager with a weekend-long symposium March 22-23 called “Waldemar Ager at 150: Conversations about Immigrant Identity.” Ager moved to Eau Claire when he was 23 years old to work for a Norwegian temperance newspaper, of which he eventually assumed ownership. During his time in the region, he wrote prolifically and became known as a great oral storyteller. 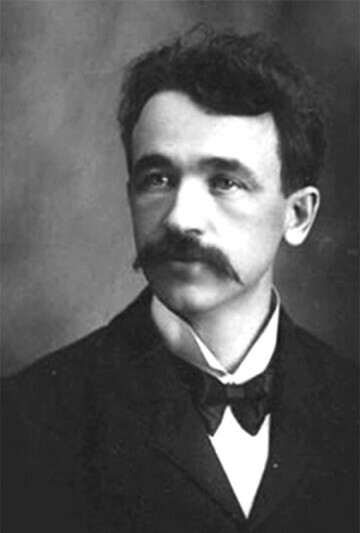 Many of his tales made light of the challenges of immigrating to the United States from Norway. He was a proponent of Prohibition and an advocate for the preservation of Norwegian culture and language in the United States. From 4-5pm on Friday, March 22, at UW-Eau Claire’s Davies Center, UWEC English professor emeritus Tim Hirsch will discuss Ager in the context of other American writers of his time. UWEC English professors Debra Barker and David Jones will respond to Hirsch’s presentation. On Friday evening the Davies Center will also feature a reception (appetizers) at 5:30pm, followed by a Norwegian-themed buffet at 6pm. After dinner, the Eau Claire Women in Theater will perform as characters from Ager’s novels. The smorgasbord will include garden salad, Norwegian-style salmon, Norwegian meatballs, mashed potatoes, vegetables, dinner rolls, and coffee. On Saturday from 9am-noon, the Waldemar Ager Museum, 514 W. Madison St., will be open for tours. 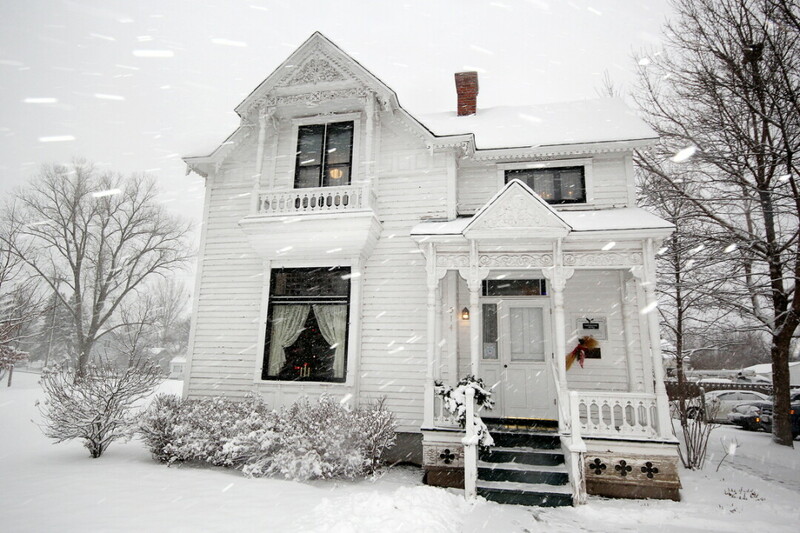 The museum is a replica of the Ager home furnished with many items from his family as well as antiques donated from many families of Norwegian descent in the Chippewa Valley. Story and music time with an antique pump organ for children will take place 10-10:45am. An introduction to Ager’s novels will be held 11-11:45am. On Saturday afternoon at the Mayo Clinic Health System auditorium from 2:30-3:30pm, Betty Bergland, professor emerita of history at UW-River Falls, will address the specific concerns of Norwegian American women and girls during their emigration from Norway and their settlement in the Upper Midwest. At 4:30pm, local officials will comment briefly about Ager as a resident of Eau Claire at his gravesite in Lakeview Cemetery. Representatives from the City of Eau Claire, the L.E. Phillips Memorial Public Library, and Mayo Clinic Health System will speak. The symposium will end Saturday evening at the Pablo Center at the Confluence with an Eau Claire Chamber Orchestra concert directed by Dr. Frank A. Watkins honoring Ager’s Norwegian roots. Guest artists the Master Singers, an all-volunteer chorale ensemble conducted by maestro Gary Schwartzhoff, will perform “Requiem for the Living,” which was composed by Dan Forest in 2012. ECCO will also present Edvard Grieg’s Holberg Suite, which was written for the 200th anniversary of the birth of Dano-Norwegian playwright Ludwig Holberg; and Norwegian Rhapsody No. 2, Op. 19, by Johan Svendsen, a Norwegian composer, conductor, and violinist. Prior to the ECCO concert, Gretchen Peters, chairperson of UWEC’s Department of Music & Theatre Arts and professor of music history, will speak about Norwegian composers at 6:30pm. The concert will begin at 7:30pm. For more info about the symposium, visit agerhouse.org. All events are free except for the reception and banquet on Friday evening and the pre-concert talk and concert on Saturday evening. Tickets to the event on March 22 can be purchased for $27 before March 14 online at agerhouse.org to by checks sent to Treasurer, Ager Association, P.O. Box 1742, Eau Claire, WI 54702-1742. Tickets for the March 23 concert are $29 for adults and can be purchased online at pablocenter.org. Concert patrons 21 years old and younger are free.